4. Randy Moss, WR, New England Patriots: Talk about resurrecting a reputation. He wasn’t on many top 50 lists a year ago. Now he’s a top 10 player. 30. 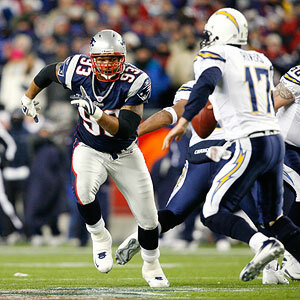 Richard Seymour, DE, New England Patriots: He played hurt last season and wasn’t the same player as in years past. But he’s still one of the best when he’s healthy. Your right Tom Brady has room for improvement this year…he needs to win a Super Bowl in order to do so however.